Hello. Will it be what a beautiful flower? Various colors are bright, and it is a splendid flower. 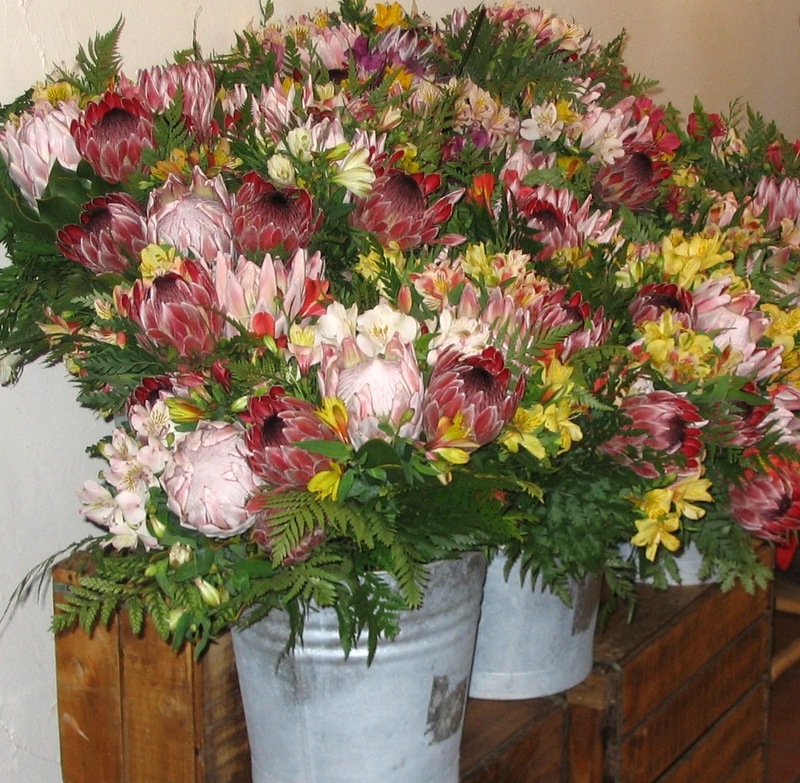 I got to visit a protea farm a couple of times when I was still guiding and seeing a coldroom full of proteas like that is a absolutely amazing sight. Oh those are beautiful. I have to admit, not my favourite flower, but when its fresh like in the photograph, much more appealing! Well! Aren't YOU the lucky one to have gotten these flowers…Great Pic. Mine is up as well at AussiePomm… Have a great WW! They're beautiful!! So far, I think I've only seen dry ones, but this is really pretty! Birthday celebration .. far from home! Skywatch Friday : “I see the moon ..